Venezuela Detains 6 People Following Apparent Attempt On Maduro's Life President Nicolas Maduro emerged unscathed after blasts interrupted his televised address. But now, the focus is turning to who was responsible — and how hard the authoritarian regime will retaliate. 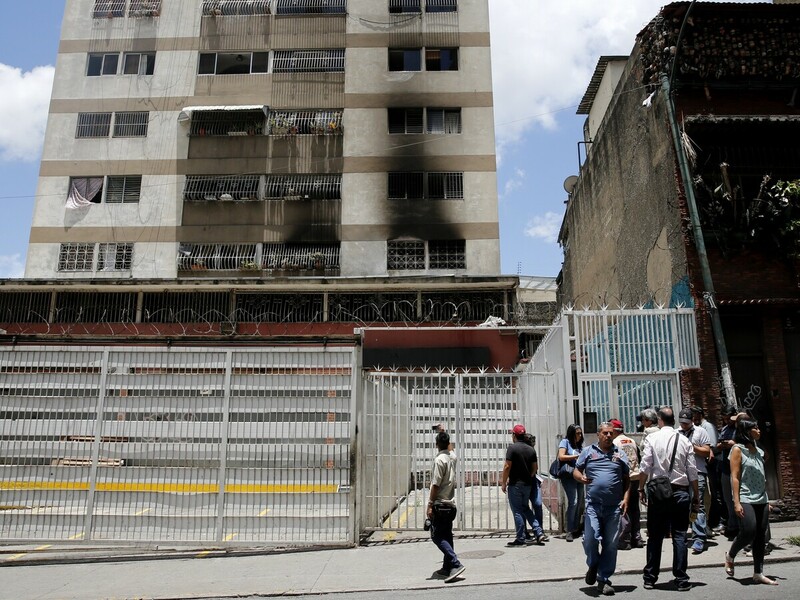 Members of the media circulate outside an apartment complex where an allegedly armed drone crashed Saturday in Caracas, interrupting President Nicolas Maduro's speech. That grasp was evident in his landslide re-election last May in a vote boycotted by the opposition and widely condemned as fraudulent. Even as his country continues to be buffeted by spiraling hyperinflation, food shortages, eroding medical infrastructure and a massive exodus of desperate Venezuelans, Maduro has managed to crush dissent partly on the strength of his alliance with Venezuela's security forces, buttressed by an image of untouchability. "It was not successful today," the group tweeted, adding that it is just a matter of time.